With nearly 11 years of customer service training and experience, David Pena brings an exceptional quality of client care to Middleburg Real Estate | Atoka Properties. In fact, it was his outstanding manner with clients while working in the food service industry that led to his being recruited to join one of the top producing real estate brokerages in Loudoun County. As his new career developed, he quickly earned a reputation for integrity and professionalism. This, in turn, led to his joining the Clegg & Co. Group here at MRE|AP. Because he is fluent in both English and Spanish, David helps MRE|AP to provide exceptional and comfortable service to those who prefer Spanish. While specializing in working with buyer clients, he also lists homes and serves those seeking rentals as well. 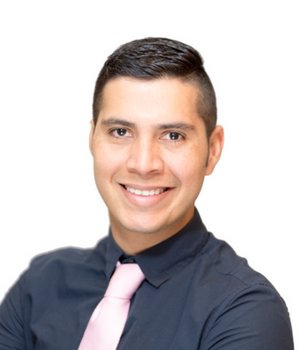 Helping people achieve their dreams of buying or selling a home is a passion for David. The youngest of 4 children, David was raised by a single mom who taught him to always work hard and do the right thing, even when it is not easy – a trait he carries through to all his transactions as a real estate professional. In his spare time, David loves staying active. He enjoys outdoor activities, especially running and hiking, extreme sports, and water activities. He also likes working out and reading.